When you think about it, it’s little wonder that dogs sometimes take a while to learn how to tell you when they need to go outside. First, a dog doesn’t always know how to get outside when it’s time to do his business. Second, not having fingers and thumbs to open a door proves difficult sometimes too. There’s also the problem of not speaking the same language that their human owners do, so when you combine all of these issues with the sometimes instantaneous need to go, you have the makings of a serious predicament on your hands. 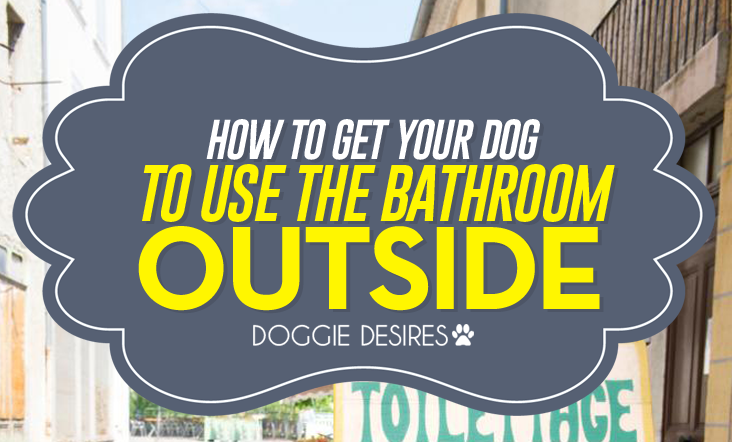 So, here’s how to get your dog to use the bathroom outside. The good news in all of this is that there are methods to teach your dog how to get your dog to use the bathroom outside. 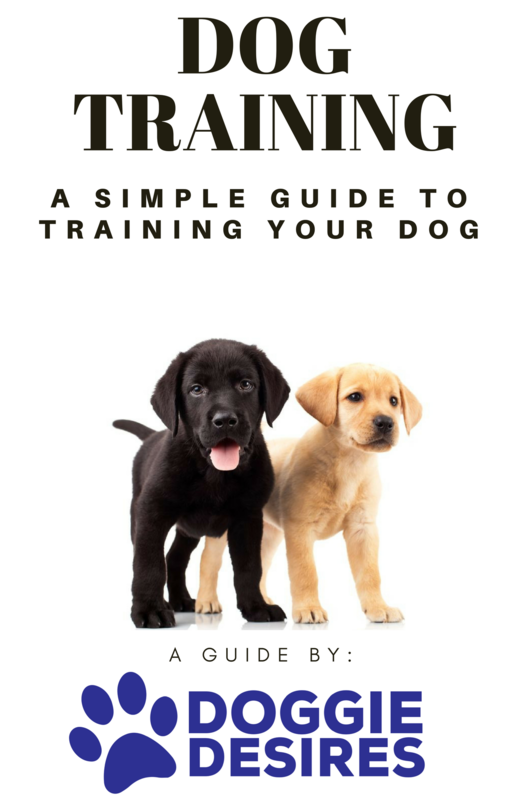 First, you should learn how your dog might already be trying to tell you that he needs to go. this might be a circling, tipping their head to the side, or one of a number of different signals that might be clear if you knew what they meant. None? Then What Do You Do? If you want to take a set of craft bells and hang them from a string, that’s fine. There are also a number of commercial products on the market that will help you. One is called the Tell Bell, which is a bell similar to those you find on a hotel’s or other guest service desk. The Tell Bell sits on the floor next to the door where your dog goes outside. When he needs to go out, he just steps on the button on the top of the bell to ring it. Another device is the Lentek Pet Chime, which is a wireless plastic device that is shaped like a dog’s paw. When your dog wants to go outside, he just steps on it, and the signal is transmitted to the speaker, which emits a bell or a dog’s simulated bark. Either way, you know it’s time for your dog to go outside. To teach your dog this trick, you will need to hang a bell or bells from a string on the doorknob or next to the door. Show your dog the bells, maybe even touching his nose to them. You might even try to rub a piece of meat or other treat on the bell to make it more enticing. When the dog touches the bell, immediately tell him “Yes!” and give him a treat, then open the door. You will need to make sure that you present the rewards–the “Yes” as well as the treat–to him as soon as he completes the action. This way he will be able to make the association easier. Now that your dog has learned how to touch the bell to make the sound, now it’s time to associate the ringing of the bell to how to get your dog to use the bathroom outside. First, get your treats ready and call your dog to you by the door. Now, you need to get him into practice to ring the bell and to teach him how to make it a habit. First, say “Touch!” and hold the bells out for your dog to touch with his nose. When he touches them with his nose, say “Yes!” and give him a treat. It will only take a few times before he gets the idea. If not, keep doing it until he catches on. Be sure you tell your dog to ring the tell each time you put him out. Soon, they will learn that in order to open the door he will need to touch the bell with his nose. When they do this for the first time and several thereafter, praise them enthusiastically and give him a treat before he heads outside. You might also consider giving him treats after he is done and returns inside. One problem that you might have when you start teaching how to get your dog to use the bathroom outside is when they confuse ringing the bell to go outside to play instead of doing it to use the bathroom. Rest assured this is a common problem. Your dog might still not understand that going outside is where they need to attend to their business. If this is the case, you will need to take more remedial action to teach housebreaking instead of the emphasis being ringing the bell. You will need to do more watching your dog to catch him before he eliminates indoors, then teach them how to ring the bell. Getting your dog to go outside is never much fun, but if you make it a pleasant expereince for him with the treats and bells, you will find that not only will he get the message faster and better, but it will be less painful for both of you as well. If you want to find out ways to get your dog to go outside with you in general, maybe trying playing games with them will help. 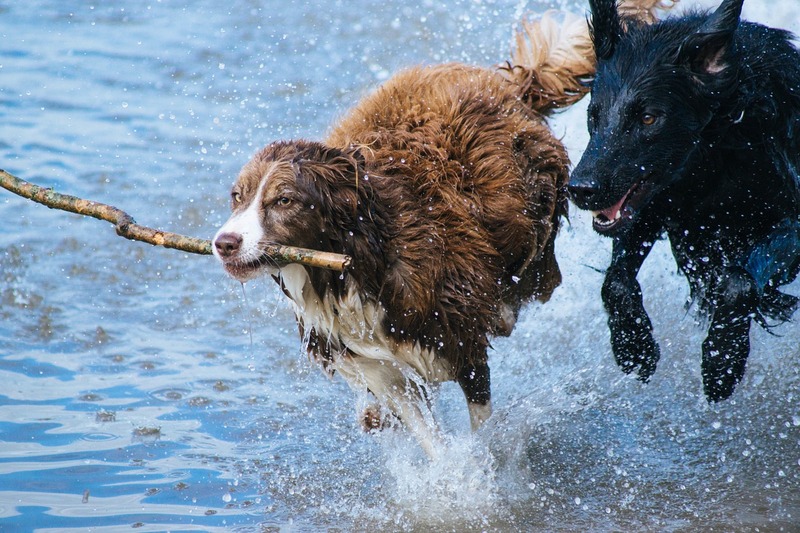 Here’s a list of the best games to play with your dog.